Image: alexandr_1958/iStock/Getty Images Plus/Getty Images. If you're planning on a back-to-school clothes shopping spree, chances are the pressure feels real. Not only do you have to keep kids under control while shopping (because no, they may not get solely 20 different Black Panther or Wonder Woman T-shirts), you also have to ensure you're picking up every essential they'll need throughout the school year. To make things only slightly easier on you (because we aren't here to offer our babysitting services — sorry), we've created a whole checklist of every back-to-school clothing item you could possibly need. 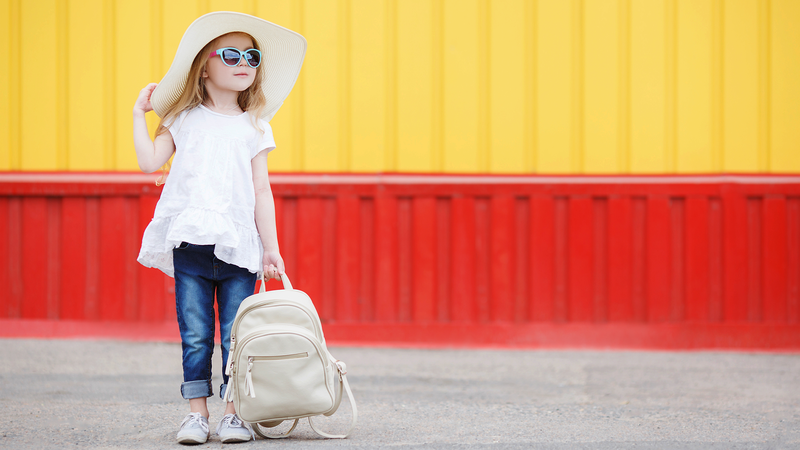 The clothing you choose will vary depending on your child's age, gender, where you live and if the school requires uniforms (but if it does, why are you reading this list?). Our biggest tip when it comes to back-to-school shopping is: If possible, get at least one top-and-bottom clothing pair for every day of the week. That way, you're (hopefully) only looking at doing laundry once per week. Here's what your kid will likely need in the clothing department. Your kid will likely need sneakers as well as sandals/flip-flops, plus dress shoes (see below under "special occasions"). As with other clothing items, having extra undergarments will help prevent you from becoming a slave to the washing machine. Your kids likely won't need a ton of dressy clothing for school, but it doesn't hurt to have a few options for any after-school functions that pop up. May the odds be ever in your favor down those aisles.